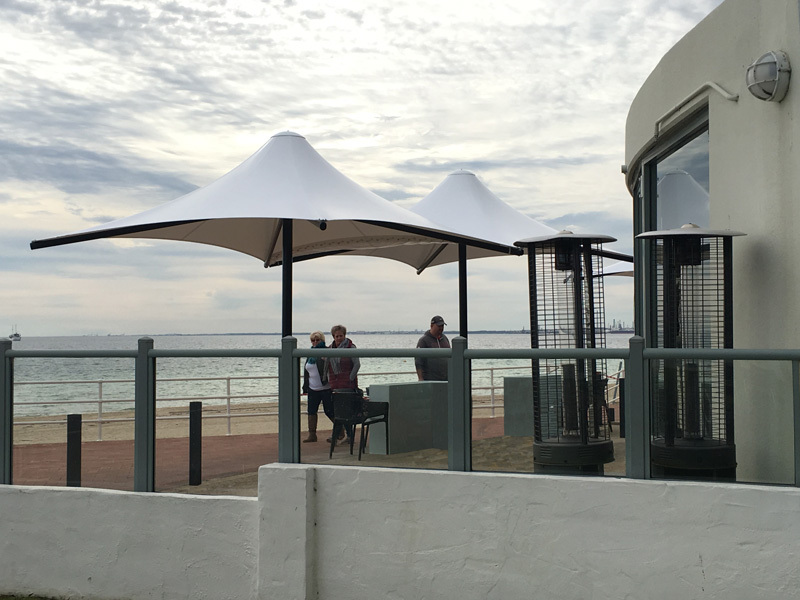 Our Ionic Range of Commercial Umbrellas are architecturally designed and engineered to offer the perfect culmination of elegance, style and durability. 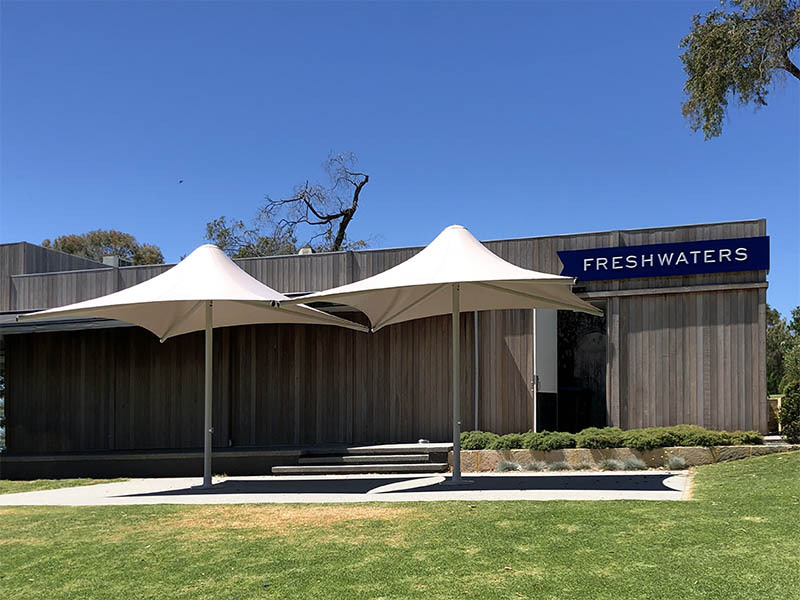 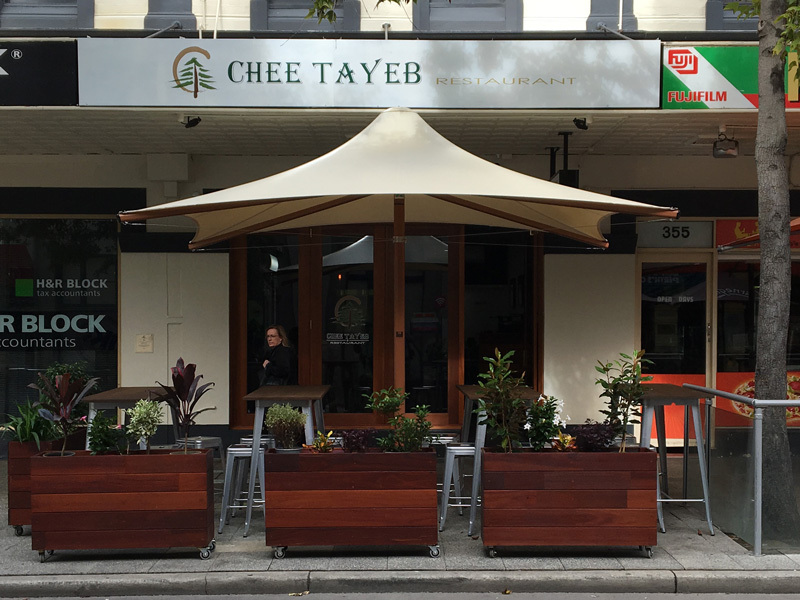 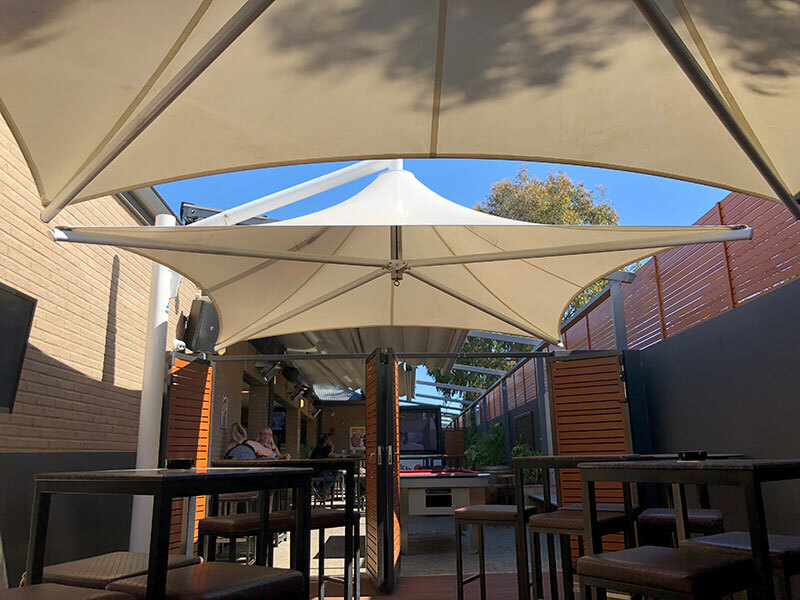 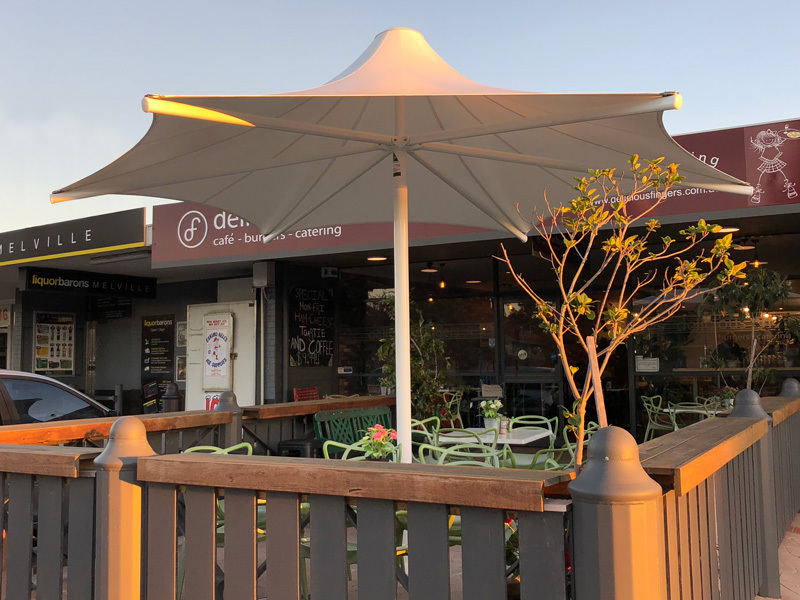 Proudly made in Australia the Ionic Commercial Umbrellas include ultimate UV Protection and wind rating certification of up to 148km/h, providing total durability in our extreme weather conditions. 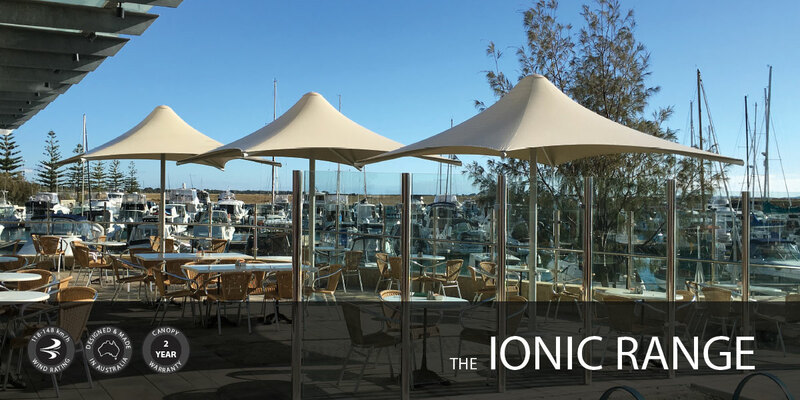 Perfectly suited to Hotels, Resorts, Restaurants, Bars and shopping centres, the Ionic Umbrellas instantly turn any outdoor area into a luxurious dining or entertaining retreat. 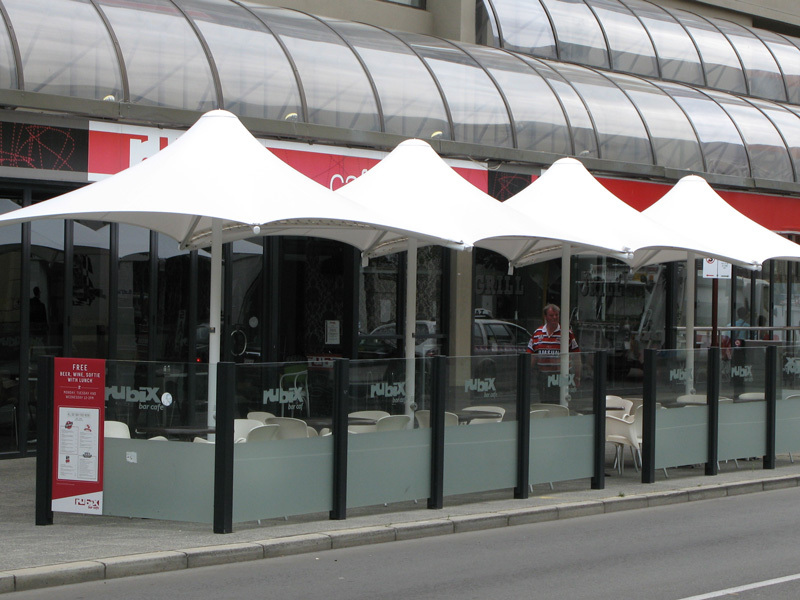 Available with fixed, retractable and cantilevered frame options and square, hexagonal and rectangular canopy shapes. 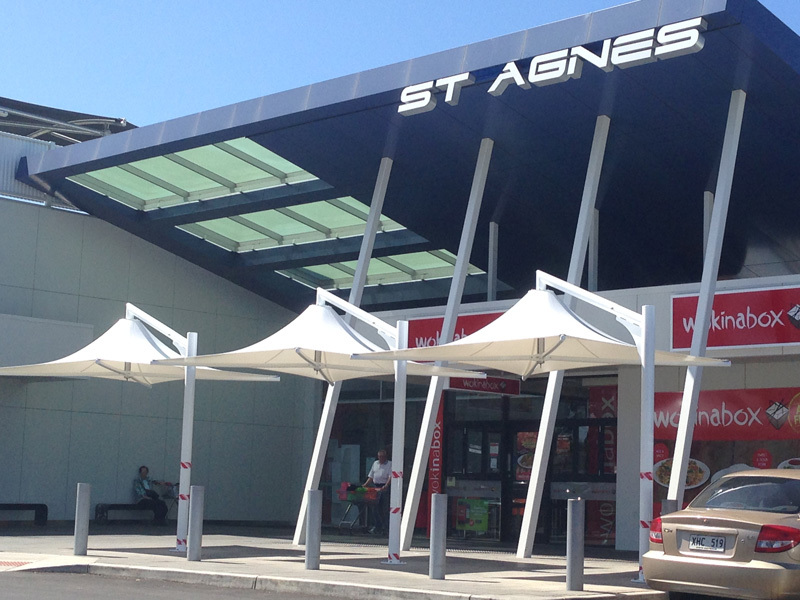 The frames carry a 10 year anti-rust warranty and incorporate marine grade stainless steel catenary cables and fittings. 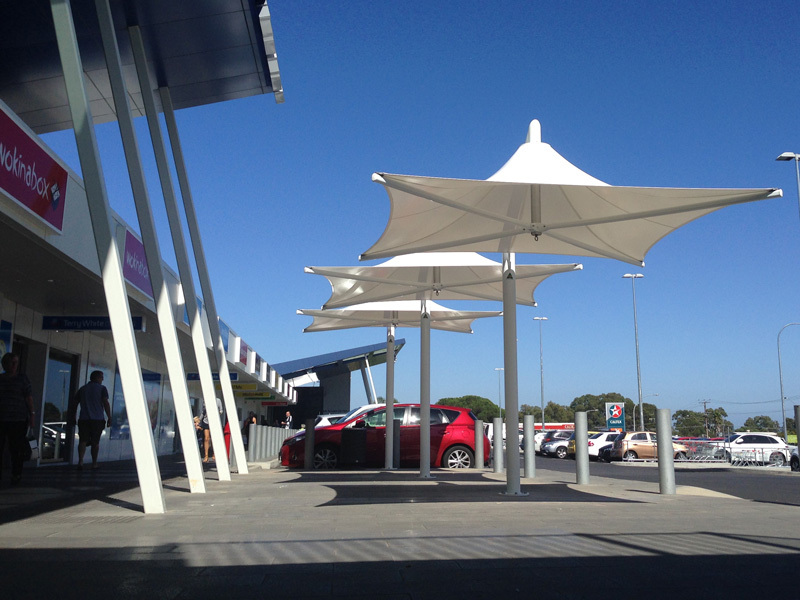 A range of accessories including lighting, heating, corporate branding and link panels are also available.